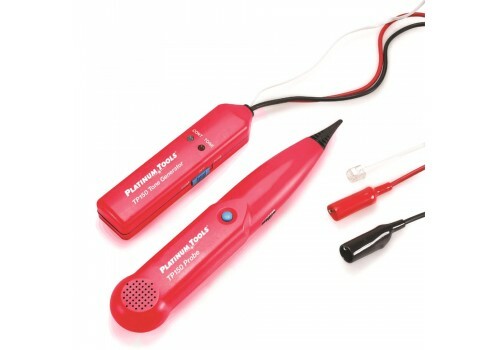 Make cable tracing easy with Platinum Tools' Tone and Probe Set. With its steady tone, push-to-scan button, and a clear loudspeaker, quickly trace and identify cable locations on jacks or through walls. 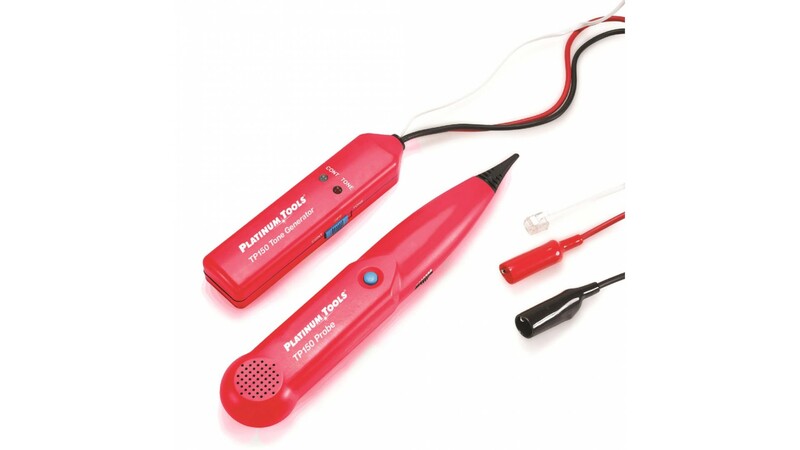 Wire bundles are easily penetrated with the tapered probe tip and the probe volume is controlled with a thumbwheel. 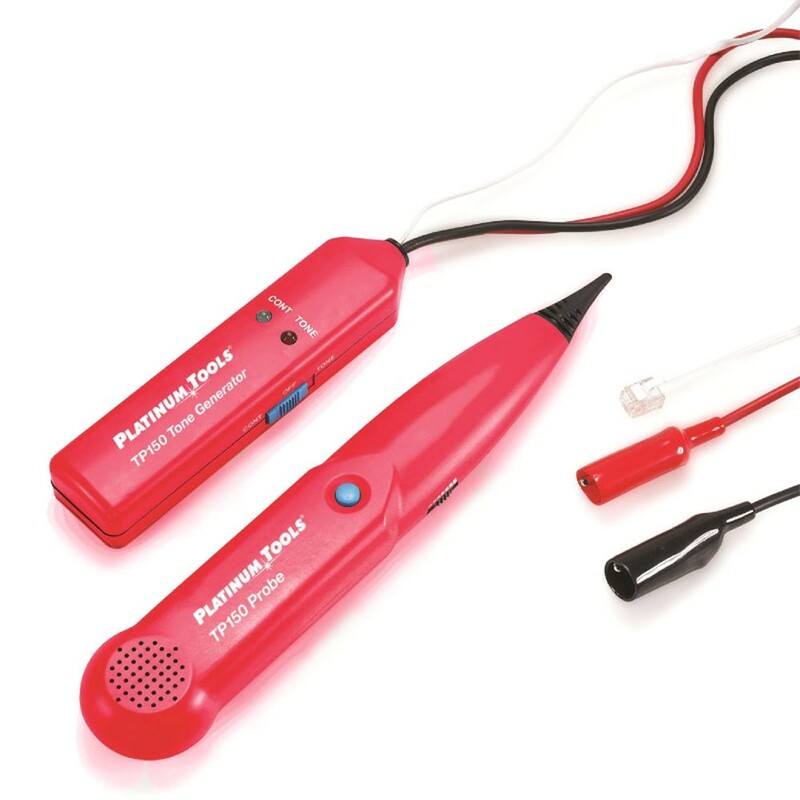 With common send and receive frequencies, the TP150 is versatile enough to be used with other tone generators or probes.